Our everyday schedules can keep us very busy! From your career and family to everyday responsibilities, finding the time to take a break and spend some much-needed time with your girls can be a challenge. 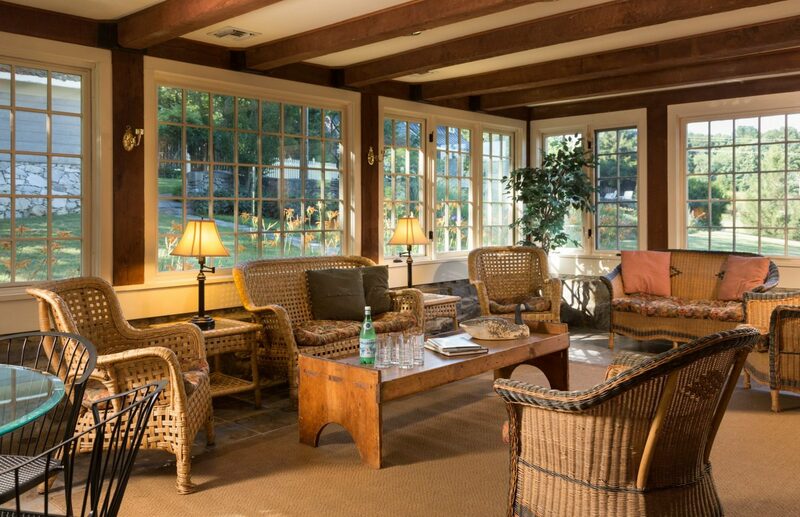 If you and your friends are ready to escape your hectic everyday lives and enjoy a getaway to a peaceful yet exciting destination, we invite you to The Inn at Vaucluse Spring in the Shenandoah Valley. Located less than two hours from the nation’s capital, our little slice of paradise is the ultimate destination for unforgettable girlfriend getaways near Washington DC. Read on to find some of our best suggestions for things to do during your girlfriend getaways in Virginia or download your free copy of our Vacation Guide to find a whole list of local activities and attractions. Located just minutes from our bed and breakfast, Old Town Winchester is a hub of activity in a charming and historical setting. From local shopping and dining to live entertainment, there are plenty of ways to spend a full afternoon of fun with your closest friends. For girlfriend getaways, we highly recommend going on a shopping excursion through the unique boutiques and specialty stores of Old Town Winchester before treating yourselves to a wonderful dinner at Brewbakers or the Picadilly Public House and Restaurant. Girlfriend getaways near Washington DC aren’t complete without visiting some Shenandoah Valley vineyards and wineries! The lush landscape and ideal climate of our region produce succulent grapes that are perfect for crafting fine wines. Whether you and the girls are looking for a fun activity to bring a full day of adventures to a close or the perfect way to spend a relaxing afternoon, you’ll hardly do better than tasting delicious vintages at the local wineries. While choosing the best winery is nearly impossible, some of our personal favorites include Chester Gap Cellars, Valerie Hill Winery, and Barrel Oak Winery. Nothing says “girlfriend getaway” quite like a trip to the spa! Our area has several wonderful spas to choose from, each offering a variety of services including massages, facials, and hair/makeup. Mane Attraction Salon and Wellness Spa is one of our area’s most popular spas and gives each guest personalized attention with high-quality services. Book an appointment for some much needed TLC and return home looking and feeling your very best! There is no denying that Shenandoah National Park is one of the most beautiful and beloved destinations in all of Virginia. During your girlfriend getaway, you’ll love rejuvenating yourselves within the tranquility of nature by exploring the local hiking trails, taking a ride down Skyline Drive, or visiting one of the area’s many historic sites. You’ll be sure to come across several picture-perfect photo opportunities, learn something new about our nation’s history, and make memories you’ll always cherish. Located in Stephens City, The Inn at Vaucluse Spring has been consistently recognized as one of the best places to stay in the Shenandoah Valley. Our year-round destination is built on historic foundations and in a peaceful spring-side setting that is sure to make you feel as if you’ve entered a whole new world. We provide several unique accommodations at our historic bed and breakfast including charming guest rooms and cabins. For girlfriend getaways near Washington DC, The Chumley Homeplace may be the perfect place to stay! Reserve your own private room or share a room in this vintage walnut log home overlooking the three-season perennial border and into the woods where birds and wildlife abound. There are also common areas for you and your friends to enjoy a cup of coffee or a card game! Each morning, join us in our sunny dining room for a bountiful complimentary breakfast. Book your girlfriend getaway with us today! We look forward to seeing you in Virginia soon. What Are the Best Things to Do on Weekend Getaways near Maryland?